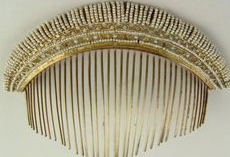 The afro comb is a symbol of African American hair. While it was popularized during the civil rights in the 1970’s, the first pick actually dates back to Egypt 5,500 years ago. Today, the afro pick comes in a variety of materials including wooden, metal, and plastic. 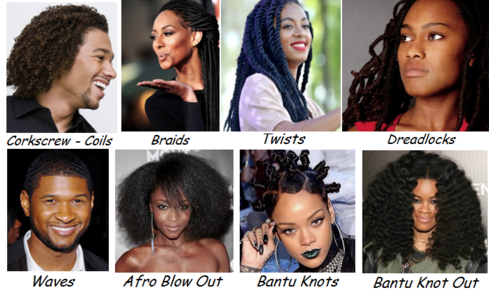 Depending on the type of African American hair, one might choose to use a wide tooth pick or a narrow knit comb. Often, African American’s use wide tooth metal or plastic picks to pick out their African textured hair if they are seeking to grow a big or small afro. These plastic picks come in a variety of colors including red, blue, black and white. The most recognizable afro pick, is a plastic one with metal rods. At the end of the pick is an African American fist representing power. These also come in other models such as picks with peace signs and letters. They are typically eight inches tall and two inches wide, but can vary in size while the teeth on picks can vary in width. Some are upright while others lie flat and some are even in the shape of a fan. Teeth can also vary in length which is referred to as a double prong afro comb. 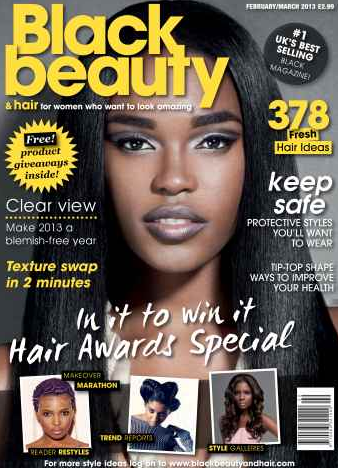 In addition, the K-cutter detangler comb provides an entirely new shape and use then the classic afro pick. Different tribes such as the Ashanti use wood to carve African symbols into their wide tooth picks. Therefore, the afro pick is not only an accessory of the afro, but it is considered a cultural icon representing power and African American history. However, these can also be found in shopping centers where the combs are made from different densities of wood, and the teeth take on different forms. Regardless of the use the comb, there is no doubt that these accessories are a timeless artifact.